We run a large fleet of modern vehicles from vans to Artics. We have a choice of standard artic vehicles able to carry upto 29 tonnes or Artics with lorry mounted Hiabs able to carry 22 tonnes. 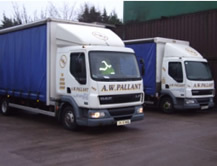 We operate several 17 and 26 tonne vehicles, these can carry between 11 and 16 tonnes. We operates both curtains and flats, and drop bodies. We operate several drop body vehicles that can be used with either flat, curtain or box bodies, these allow versatility not normally associated with rigid vehicles. We have a choice of vans and 7.5tonne vehicles, either curtain or flat with long or short wheelbase, either a 19ft or a 21ft wheel base. 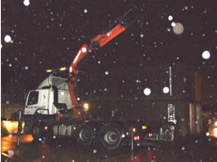 We operate a choice of Hiab equipped vehicles, operated by highly experienced drivers. All our drivers have experience in even the most awkward of loads and often provide vital assistance and advice to site operations. Our drivers hold all the necessary qualification and in addition are ARD trained. Our Artic hiab, equipped with a 45tpm crane, and can carry a payload of 21 tonnes, can also be hired for limited access site work. One of our Hiab Rigid vehicles equipped with a 63tpm crane, can carry 11tonne and is able to lift the heavier loads. 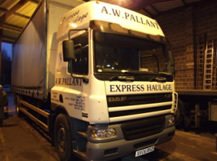 We recently acquired Alan Beasley transport. 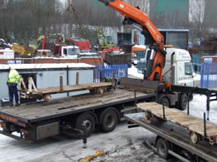 Originally specialising in steel haulage, they now cover most types of work. This acquisition has added another 15 vehicles to our existing fleet, bringing in extra equipment and trailers including slider trailers and coilers. 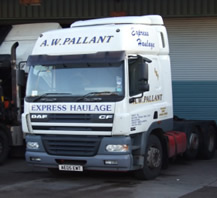 In acquiring Alan Beasley Transport we were fortunate enough to inherit all drivers and staff who came with many years of invaluable experience.